I wrote this piece last night, and coined the term “#KickAstros” to describe the Cubs potentially sweeping the Houston Astros in the final three games of the season. So I’m looking forward to some tasty burgers for the next couple of days. After all, there’s a long, burgerless offseason up ahead. The Cubs lost again today, and dealt away Kosuke Fukudome to the Indians. Let the dismantling begin. And let the tour through the 1970s continue. How time flies when the Cubs are losing. The Padres are the closest thing to a regular in these pages, since they are already being highlighted for the fourth time here, in only six years of existence as a franchise. Doing this countdown has made me realize how hard it was for the Padres to get established in the Majors. I now realize that this team–which suffered so much back in the 1970s– has since made it to the World Series, twice. They haven’t yet won it, but that’s still two more times than I’ve ever seen, and my hat is off to them for the accomplishment. The Cubs’ ongoing failures are magnified when they are put next to the Padres and some other franchises that are still decades away at this point in time. I spoke of Dave Winfield in the last post here, and the team also featured Willie McCovey, who was 36 and on the downside of his career. The team had a fighting chance to avoid 100 losses, if not for two teams in their own division. The Padres went 2-16 against the Dodgers, and 1-17 against the Atlanta Braves, for a combined winning percentage of .083. A team would have to tear up the rest of the league to overcome that, and the Padres couldn’t do it. On the bright side, the San Diego Chicken did make its debut this season, and the team would also win the National League pennant only ten years later. I’ve written about that here if you’re interested. The 1970s are half over now, and the next Cubs loss will bring us to the epochal year of 1975. The year it all changed for me, personally. Should be fun to write about when the time comes. The Cubs lost again today, and had to survive blast furnace conditions at Wrigley Field to do it. And if today’s announced attendance of 38,000+ souls are really foolish enough to go to the ballpark in these conditions, humanity is in bigger trouble than I thought. But at least the journey through baseball in the 1970s can resume. Today’s focus is on 1971, when two teams hit the century mark in losses. Cubs fans do indeed have it bad when it comes to losing. But at least we aren’t as starved for a championship as those poor souls in Cleveland. Their baseball drought of 62 years is the second-longest active streak, but add to that the Browns (who have never won a Super Bowl) and the Cavs (who have never won an NBA title), and you’ve really got some serious misery going on. The Indians fired manager Alvin Dark in late July, hoping that a team that was nearly 20 games under .500 could be resurrected with some new blood in the dugout. It didn’t work, though, as Dark’s replacement, Johnny Lipon, suffered through an 18-41 finish. Alvin Dark later won two World Series managing the Oakland A’s, but Lipon never managed in the majors again. 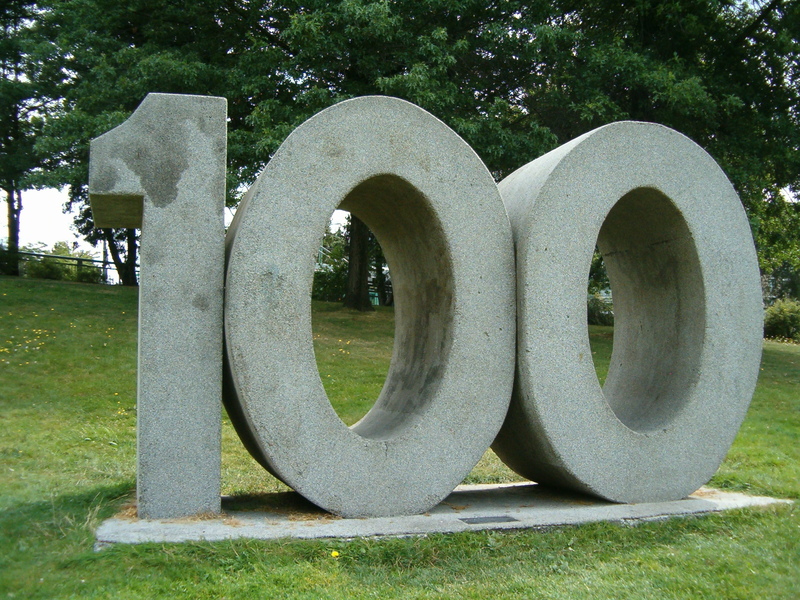 The Indians will now take some time off from the 100 loss club, but they’ll be back a few more times before we’re finished with this exercise. 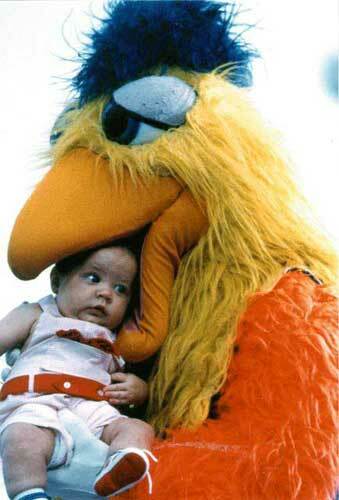 I’ve been through the whole 1984 thing with the Padres elsewhere, so there’s no need to rehash it here. The Padres were no longer an expansion team per se in 1971, but they weren’t yet established as a winning franchise, either. Preston Gomez finished out this season as the Padres’ manager, but was fired just 11 games into the 1972 season. 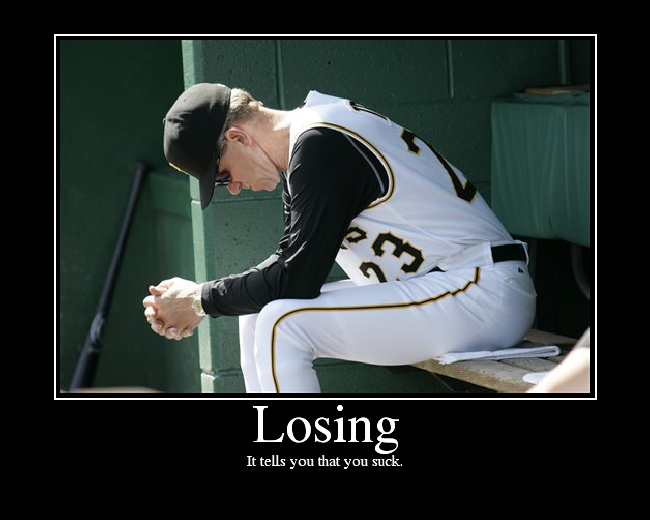 Three full seasons of 99 or more losses will do that for a manager, even with a new franchise. We have now seen the last of him in these posts, but he turned up in a few other big league jobs, including a stint managing the Cubs during the 1980 season. 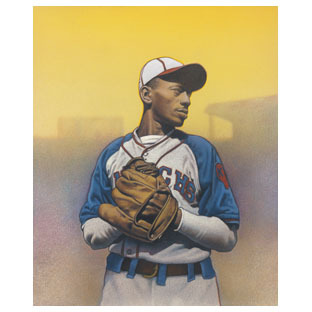 Note: The image above is of Satchel Paige, who did not play on either of these teams, but did play for the Cleveland Indians in the late 1940s, and was inducted into the baseball Hall of Fame in 1971.
Who knows losing better than the Cubs? Ask anybody to play word association between a baseball franchise and the word “losers” and at least 90% will say Cubs. And the 10% who wouldn’t just don’t know anything about baseball. And yet, for all that mediocrity, the gold standard of ineptitude–the 100-loss season–has eluded the Cubs throughout my entire lifetime. So, even though I know losing as well as anybody else, I kind of want to know what that feels like. The Cubs have only lost 100 games or more in 2 seasons: 1962 and 1966. Both of these happened before the Cubs passed the century mark in years without a World Series win back in 2008. So, with the century mark for a single season now within reach, this could be the first time that a professional sports team with a 100 year championship drought could also lose that many games. It could only happen in baseball, and only to the Cubs. So why not revel in it? I’m calling this the “double triple” because it turns the basketball term of a “triple double” on its head. Rather than one player having a really good game, this achievement would mark the low water point for a team in the history of professional sports. And who could be afraid of that? All of the “good” Cubs fans would probably shake their heads in disgust at the idea of wanting their team to lose. Words to the effect of “Let’s let the young kids develop and not get their egos bruised by losing so much.” But you know what? These are professional athletes. They cash those paychecks whether they win or lose. Shed no tears for them. “But where’s your team pride?” others might say. Let it be said that being a Cubs fan is not about being proud. The first Cubs game that I ever watched on TV, back in 1975, was a 22-0 loss at home. And the very week that I was born, in June of 1968, the Cubs didn’t score a single run for 48 straight innings, which no other team has even come close to since then. So please don’t talk to me about pride. I can think of three things that I have not seen from the Cubs in my lifetime: being no-hit by another team (which happened to them twice back in 1965), playing in the World Series, and losing 100 games in a single season. The World Series won’t happen this year. The no-hitter could happen at any time, and A.J. Burnett recently came very, very close. When it does happen, it will just confirm the level of ineptitude of this year’s team, or whichever year’s team it finally happens to. That’s only 27 outs over the course of a few hours, though. But losing a hundred games? That’s about to happen. It would take something remarkable to prevent it, at this point. If the Cubs win at least one game in Arizona this weekend, and then sweep an otherwise meaningless series with the Astros next week in Wrigley Field, they’ll narrowly avoid 100 losses on the season. Anything less than that, and the Double Triple is a reality. If the losing is going to come, then let’s have those losses at least count toward something. As Aerosmith says, you’ve got to lose to know how to win. And if that’s true, the Cubs should have some serious winning in their future. But for now, this year’s team could set a futility mark that we’ll all laugh about someday. 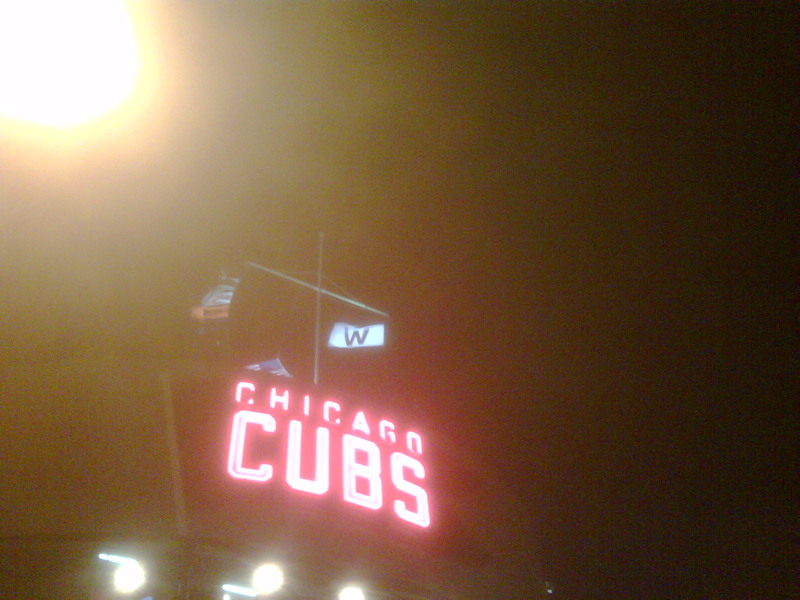 So Cubs fans like myself will just have to Dream On beginning–as always–with next year.